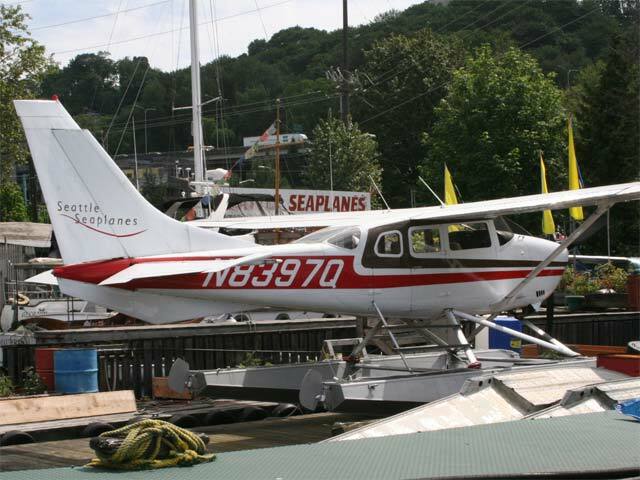 Seattle Seaplanes' primary training aircraft is the venerable Cessna 172, one of the most famous, reliable single-engine aircraft ever made. 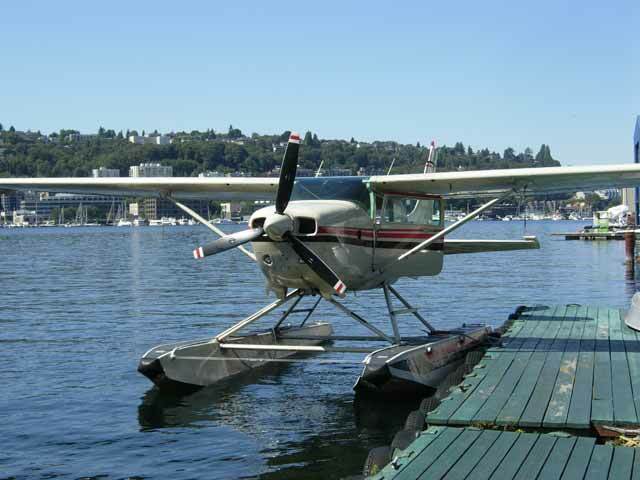 Our C-172 features a 180HP engine with constant-speed prop, and sits on Aqua 2200 floats. 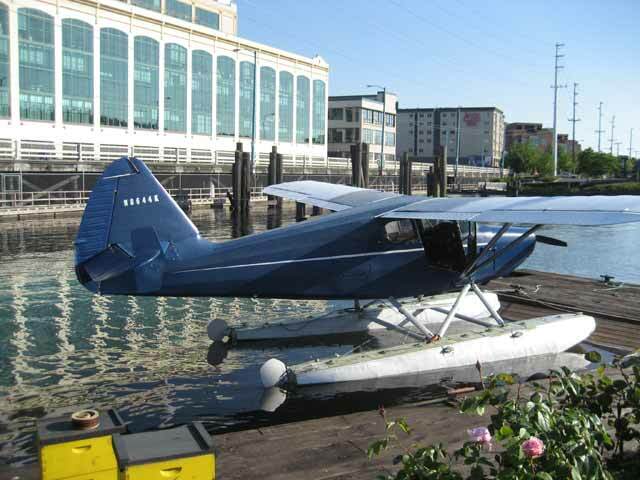 The C-172 seats 1-3 passengers. 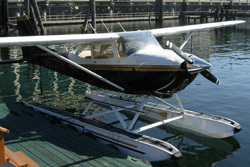 The workhorse C-U206 seats up to five passengers, and features a 300HP engine and Peekay 3500 floats. 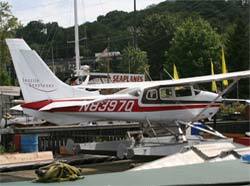 Cessna describes the C-206 as the "sport-utility vehicle of the air." 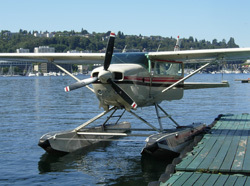 A true classic, the Stinson Voyager hails from 1947. 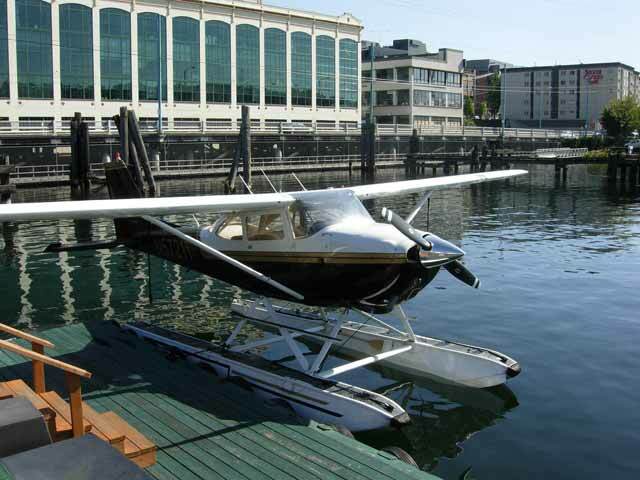 It features a 150HP engine and sits on Edo 2425 floats. 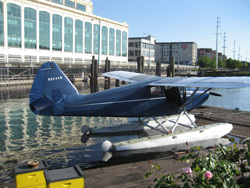 The Stinson can seat two: pilot + passenger. Note: the Stinson is currently undergoing restoration.